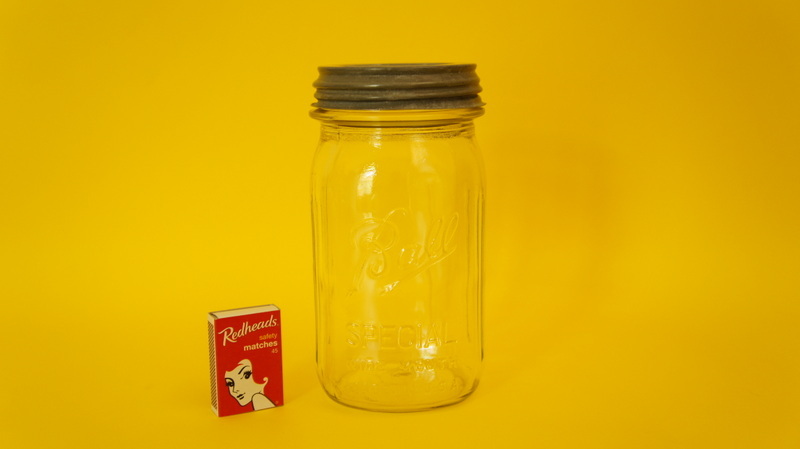 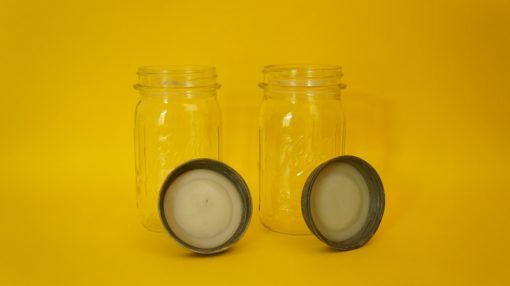 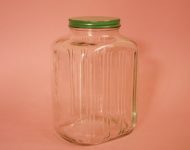 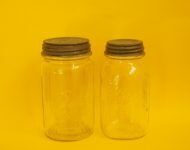 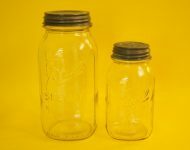 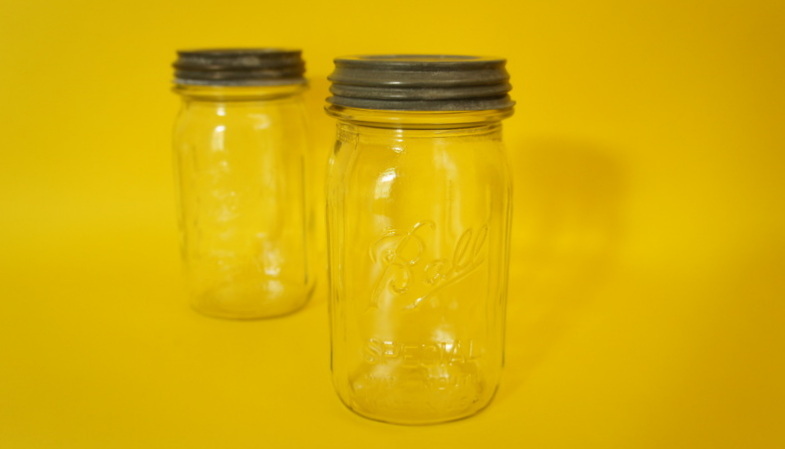 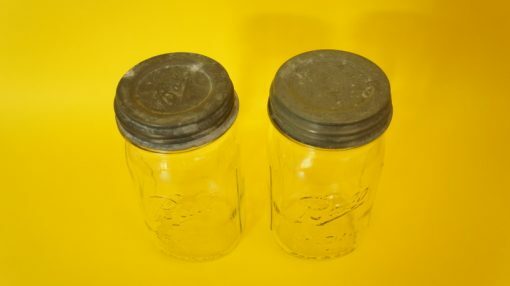 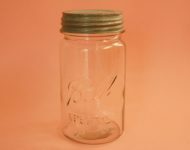 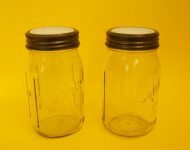 It took me months to find the last Ball jars we sold, so I was delighted to stumble across this pair the other day! 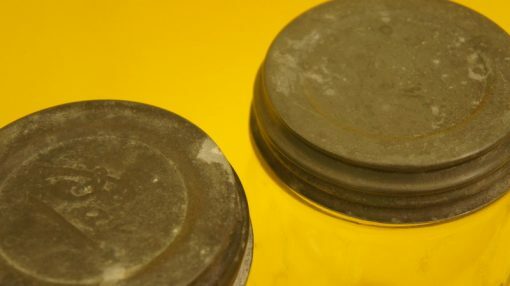 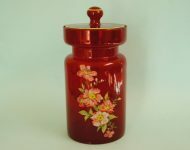 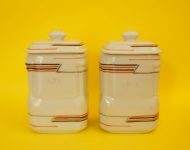 The zinc lids are a little worn, but luckily their milk glass linings are completely intact, as are the glass jars. 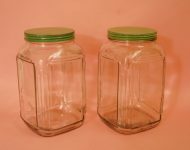 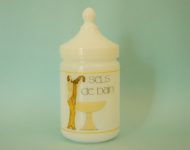 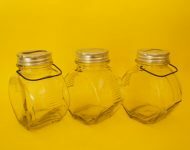 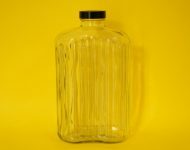 These jars are super handy for storing all sorts of dry goods (flour, lentils, popcorn – so that the weevils don’t get to it before you do! 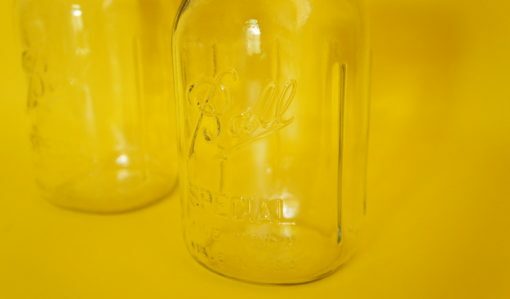 ), you name it! 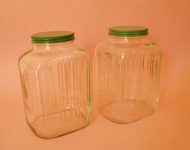 And of course there’s the added bonus of these jars being way more attractive than the plastic packets or cardboard boxes the food originally came in!